I still haven’t recovered from the Children With Diabetes Friends for Life Conference (CWDFFL) last week. I’m tired in a good way and my head is still full of ideas that I want to share with the DOC (and others that I will keep to myself because they are so very personal to me). Expect to see a lot of posts over the next few weeks about FFL as I come back down to earth, but for now… it’s Fab Five Fridays: FFL Style! 1. 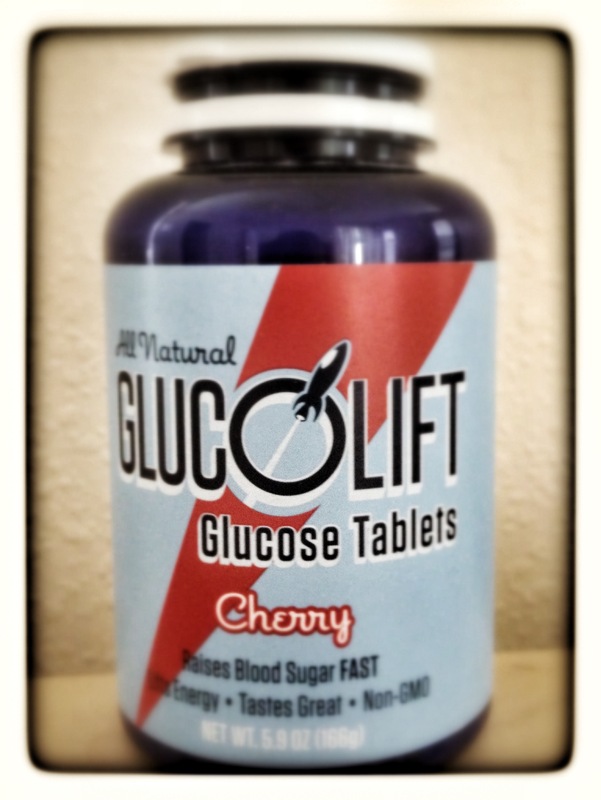 Glucolift – I’m addicted to the Cherry glucose tabs. In a good way. You know how you’re low, pop a glucose tab that you bought at the store, and go: “Oh, yuck. I have to chew this? Yuck!” Glucolift doesn’t make your brain do that. And unlike the old B-D Glucose tabs (which haven’t been available for years, may they rest in peace) or Starburst or juice, you’re not going to overdo it and end up sky high a few hours later. You can order Glucolift directly from their website and they send you a nifty-gallifty (Extra points if you know that phrase’s origin) travel tube and a cool sticker. When we were at FFL, Chris put a Glucolift temporary tattoo on my daughter’s arm (with my permission, of course). She wore that tattoo proudly and showed everyone her “rocket ship!”. I keep a jar of Cherry next to me in the cupholder in the car, one on my bedside table, and a full travel tube in my purse. 2. Drs. Sean and Tamara Oser – I attended a session about how to be the best patient you can be, led by these two very intelligent and very personable doctors. Sean is a Type 1 diabetic and so is one of their gorgeous twin daughters. They have the full 360 degree perspective: as doctors, as patients, and as parents of patients. I learned so much from them (and was shocked by some of the statistics they shared, which is another post in itself), but the cool takeaway was a planning worksheet to prepare you for your appointment. I’ll ask them if they’d be willing to post it online for download, because it’s so worth it. Sean blogs at t1works and Tamara blogs at t1family. Check them out! 3. Dr. Ed Damiano and the Bionic Pancreas (sounds like a band, doesn’t it?) – I’m still, a week later, trying to put into words what I felt listening to this gentleman speak. 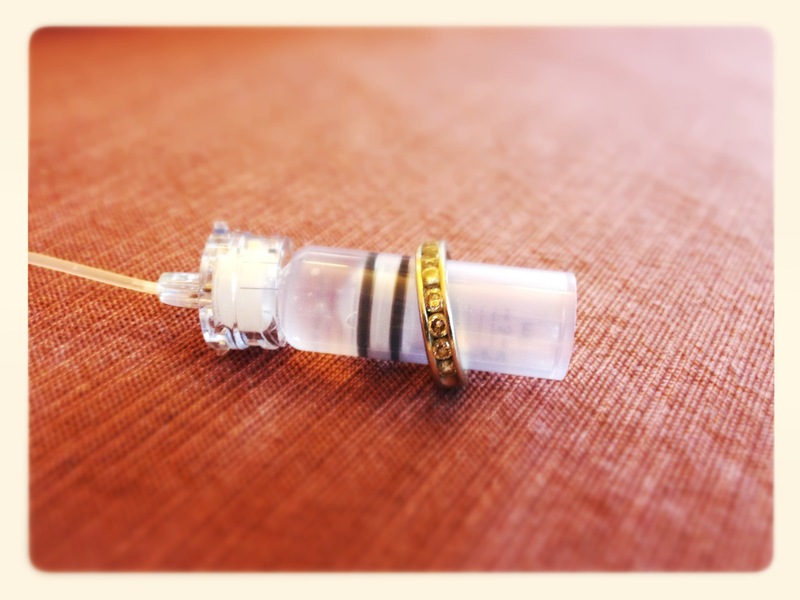 Driven by the T1 diagnosis of his young son, he set out with a grad student of his to create an algorithm that would push a little insulin or a little glucagon based on a CGM reading. I held it in my hands and sat with Anna at our table, who participated in the human trials this spring. (Scott Johnson even wore the CGM portion of it for the remainder of the conference and we saw his BG numbers on a large screen) I want one now, but I’m willing to wait four years until it’s available. Four years. It may seem like a long time, but in the diabetes timeline, it’s a blip. I’ll have a whole post about him and the Bionic Pancreas. Soon. Promise. 4. Meri Shumacher – Mom to four boys, three of whom at T1, she was one of the keynote speakers. Dr. Richard Rubin, who was a huge force in the DOC for years, passed away from cancer this year, and Meri had a special connection with him. Please have tissues handy when you read My Homage to Dr. Rubin at FFL 2013 – this is her keynote address. 5. Friends For Life 2014 – July 2-6, 2014. ORLANDO. Put it on your calendar. Look, whether you are an adult Type 1, teenager T1, parent of a T1 or interested in diabetes research, this is where you need to be. As I sat next to my parents at the keynote (They were so gracious as to attend to provide me some much needed toddler backup. ), I wished with all my might that this conference existed thirty years ago. I’m grateful that it exists now. Join us next year. Please. I want to meet more amazing people. You were missed. Duh, says everyone. Millions Billions A gazillion dollars have been spent by humankind over thousands of years to find out what makes us click – or not. Poems, books, movies, therapy sessions, divorce courts, and Facebook are mostly about relationships. If someone actually figured out the magic formula, the world wouldn’t know what to do with it. We’ve been conditioned that conflict is good – in moderation. Relationships and diabetes together are…say it with me…hard. I didn’t need a study to tell me that, but here it is, straight from the annals of Diabetes Care, published for their March edition: Personal and Relationship Challenges of Adults With Type 1 Diabetes . The researchers did a small study, using focus groups split into two categories: the Type 1s and their partners, asking pertinent questions about their relationships. Know what they’ve discovered? Four main domains were identified: 1) impact of diabetes on the relationship, including level of partner involvement, emotional impact of diabetes on the relationship, and concerns about child-rearing; 2) understanding the impact of hypoglycemia; 3) stress of potential complications; and 4) benefits of technology. Themes suggest that, although partner involvement varies (very little to significant), there exists significant anxiety about hypoglycemia and future complications and sources of conflict that may increase relationship stress. Partner support is highly valued, and technology has a positive influence. I love the little quip about “…there exists significant anxiety about hypoglycemia and future complications and sources of conflict that may increase relationship stress.” I know this. I live this. I see the worry lines in John’s forehead when he watches me struggle to come up from a low. Every day, we engage in some discussion about blood sugars or what I’ve eaten or some aspect of diabetes. He has been incredibly brave when I’ve been a coward, helping me choose the decisions that are best for our family. It is tiring to me, so I can only imagine how tiring it is to the people around me. Or if I didn’t have a supportive husband but a Diabetes Police new recruit. But you know what’s worse? I once had a relationship with someone who just didn’t care at all. Despite being a medical professional, he chose to act as if it was just my disease alone to handle. No encouragement for the good days and no comfort for the bad days. Begrudgingly helping when I was sick or needing assistance when I was in severe hypoglycemia. I’m surprised the relationship lasted as long as it did. So, we already knew what researchers have told us in this article. What do we do about it? Talk about your feelings and fears, if not with your spouse, then with someone who can give constructive steps to deal with the issues in your relationship (and your relationship with diabetes). Not talking about it won’t help either of you feel any better. And you want to feel better, right? Friends for Life, the annual conference in Orlando that used to be just for Type 1 kids and their families is now offering an Adult Type 1 track with some interesting classes. Dr. Bill Polonsky will lead a Couples Discussion Group, while Jill Weissberg-Benchell & Kerri Sparling offers up a Dating and Diabetes seminar and Diana Naranjo will facilitate a Significant Others Discussion Group. Come hang out with the rest of us and get some insight as to how other couples handle diabetes and relationships. Read more about the impact diabetes plays in relationships at dlife.com – lots of great articles from people you already know. Personal experience: The worst time to talk about diabetes is when a Type 1 is having a low. When John asks: “Why do you think you’re low?”, it results in me giggling, telling him that I’m not wearing socks, or growling angrily. Sometimes all three at once. Talking about diabetes after the diabetic has come up from a low and when the effects of adrenalin and cortisol coursing through the system can result in a coherent, cogent conversation (Look! Alliteration again!) and probably not a discussion about socks. I’m married to my diabetes. No option for divorce or at this point, even a trial separation. My husband still married me, knowing this. I love him all the more for that. Even on the tough days. I say duh a lot. 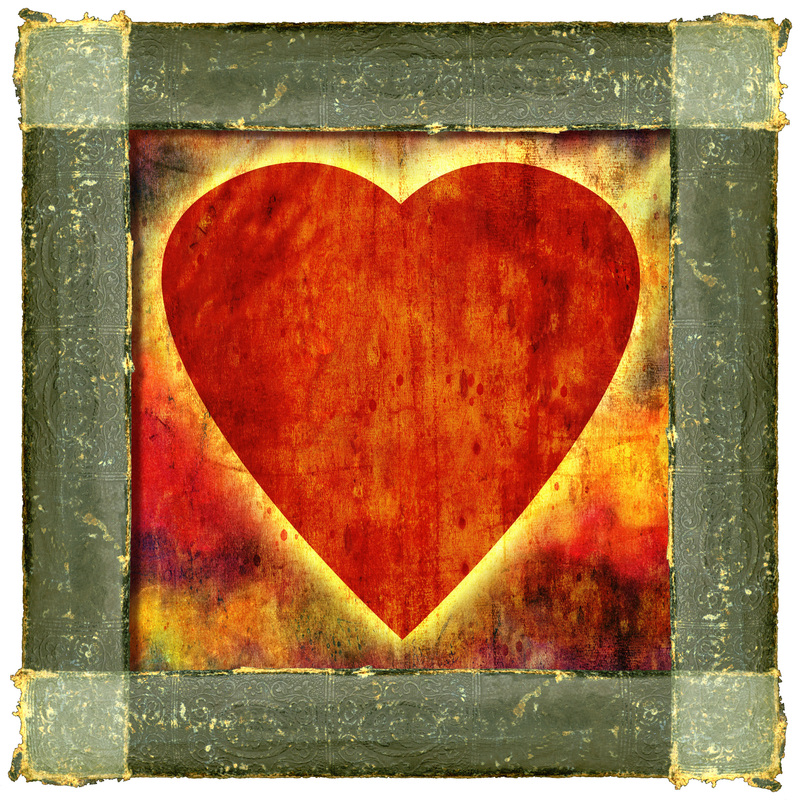 Got suggestions on dealing with diabetes + a significant other? Resources to add? Bring it on!